A majority of Cook County voters support a penny-per-ounce tax on sweetened beverages to help address the county’s budget deficit, according to a poll released today by the American Heart Association (AHA). The results show a resounding 58 percent of voters in support of the sweetened beverage tax, with 41 percent opposing it. According to poll analysts, it is rare for any tax to start out with majority support. Other key findings in the poll include support for the sweetened drink tax across racial lines. 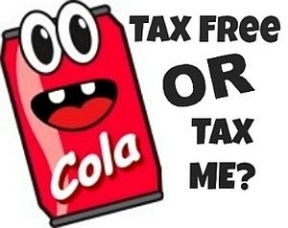 The AHA supports the penny-per-ounce tax on sweetened drinks proposed in the 2017 Cook County budget. The tax will help to curb the consumption of sugary drinks—the number one source of added sugar in the American diet—and improve the health of residents in vulnerable communities. Residents in Cook County’s lower income and minority communities are experiencing catastrophic rates of chronic diseases such as heart disease, strokes, diabetes and cancer – illnesses often linked to the consumption of too much sugar. The poll of 600 registered Cook County voters was conducted by Anzalone Liszt Grove Research on October 3-6, 2016. The poll was conducted in English and Spanish, and the margin of error is +/-4 percentage points. For more information on how taxes on sugary drinks can help improve the health and well-being of our communities, visit heart.org/NoMoreSugarcoating.